Long before Captain Jean-Luc Picard took command of the legendary Starship Enterprise, he fell deeply and hopelessly in love with Doctor Beverly Crusher. Though, for one reason or another, Picard never acted on his feelings, he found a measure of contentment as Beverly's close friend, colleague, and daily breakfast partner. But when Doctor Crusher leaves her position on the Enterprise to become the chief medical officer of Starfleet, the brightest light in Picard's life is taken from him. And he has hardly resigned himself to his loss when he learns that Beverly has been declared missing in action on a distant planet -- and presumed dead. Kevratas is a bleak, frozen world on the far side of the Romulan Neutral Zone where the Federation has become the plague-ravaged natives' only real hope of survival and freedom. Starfleet has no recourse but to send in another team to try to save the Kevrata -- and Picard is the natural choice. Critical to the success of his mission are two colleagues who served under him when he commanded the Starship Stargazer -- Pug Joseph, a man with a past to live down, and Doctor Carter Greyhorse, who has served time for attempted murder -- as well as a Romulan who left his people years earlier and never expected to return. Together, they follow the trail of Beverly Crusher to Kevratas, determined to succeed where the doctor failed. So begins a desperate struggle -- not only for the freedom of the long-oppressed Kevrata but also for the soul of the Romulan Empire. 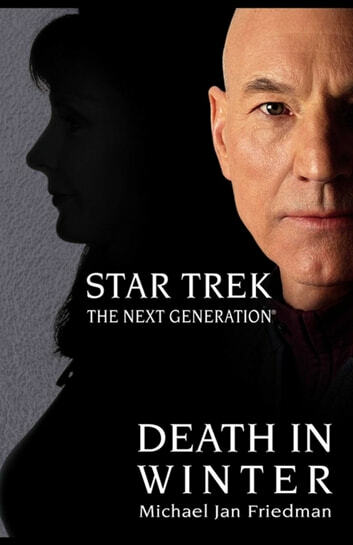 Before it's over, destinies will be forged and shattered, the Empire will be shaken to its ancient foundations, and Jean-Luc Picard's life will be changed...forever.